Vroooom! 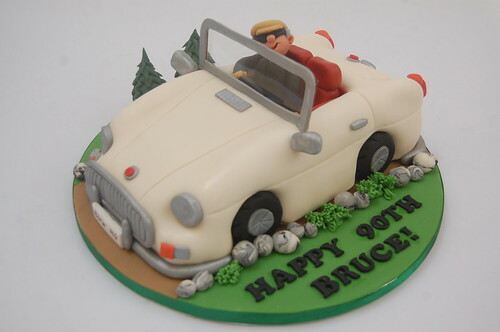 We think Bruce is looking rather jaunty in his MG – definitely one of our favourite car cakes to date! The MG Cake – from £90.